Someone broke into a Greenport home last week and stole about $600 worth of electronics, according to a police report. A Madison Avenue resident called police around 9:45 a.m. Friday to report that someone smashed a window to gain entry to her residence. She said a $400 Samsung television, $200 set of speakers and $50 tray as missing. • An $800 snowblower was taken from a Southold shed sometime last week, according to a police report. A woman called police last Thursday morning around 9:30 a.m. to report that the snowblower was taken from her shed on Paradise Shores Road, according to the report. She told police it was likely taken sometime last Monday or Tuesday. The yellow Yamaha snowblower is worth $800, according to the report. • A homeless Greenport man reported that someone stole a Kindle from his backpack last Thursday, police said. The man told police around 1:20 p.m. that someone took a Kindle from his knapsack, according to the police report. He told officers he wanted the incident on record. • Someone stole a pool cover and canvas deck chairs, together worth more than $2,000, from a residence in Greenport last Tuesday, according to a police report. The Green Hill Lane resident called police at 2:40 p.m. to report that his pool’s safety cover, worth $1,800, was taken from his unlocked shed, police said. The suspect also took eight canvas deck chairs, worth $400 altogether, from the patio. • Someone stole the propeller and an oar from a dinghy docked at Stirling Harbor Marina in Greenport last week, according to a police report. The dinghy’s owner, a Greenport resident, told police he heard a boat leave the area of the harbor around 12 a.m. last Wednesday, but that he did not see what kind of vessel it was, according to the report. The man also told police he believes the suspect tried to remove the other oar but was unsuccessful. • Someone smashed a car window in the parking lot of Cutchogue’s King Kullen last Thursday morning, police said. The driver, a Cutchogue resident, told police she came back from shopping in the Route 25 grocery store to find her driver’s side rear window destroyed, according to the police report. The damage was listed at $200, according to the report. • An East Marion family filed two separate police reports last week, each one complaining about two separate incidents in which a truck driver allegedly flashed his middle finger at them while they waited for the school bus with their daughter, according to police reports. At 7:45 a.m. last Thursday, a white truck was speeding down Rocky Point Road while a mother waited with her daughter, then “put up his middle finger to her,” according to the first police report. Then, at 7:45 a.m. Friday, the same truck driver flashed his middle finger to the father waiting with his daughter, according to the second police report. In that report, the father told police the same incident had occurred for the past three days. • Police received a call about a suspicious man walking around Cutchogue last Wednesday. 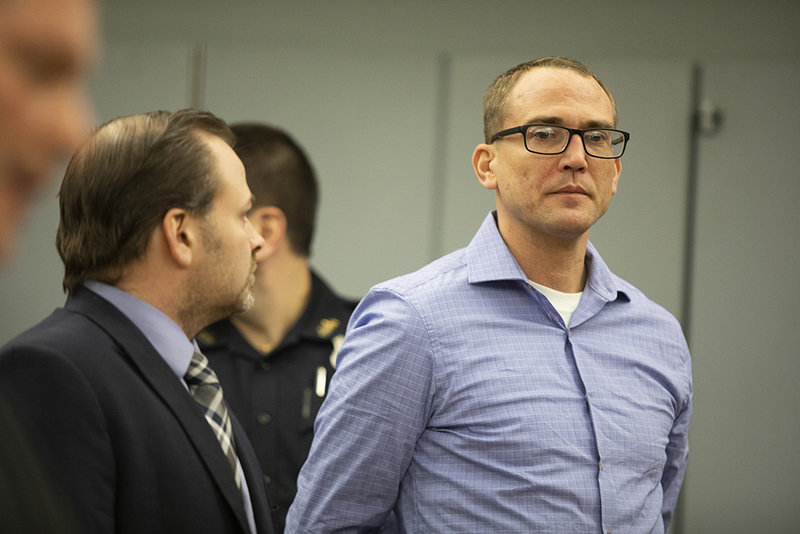 Once they located the man, who was Jewish, he told officers he was seeking other Jewish families with whom to celebrate the Jewish holiday, according to a police report. Police told the man his behavior was making members of the neighborhood uncomfortable, and they provided him with the telephone number to local synagogues so he could speak to a rabbi about celebrating the holiday. The man told police he understood and would call the synagogues.